My Little Running Buddy! | I Can Run, So I Will! Lets go back to my first race– a 10k back in June (2013). Little did I know that was baby’s first race too! My doctor assured that running was still safe as long as I kept hydrated, stayed cool and didn’t fall. I’ve started bringing more water on my runs, selected early morning during the cooler time of day and really make sure to pay attention to my footings on the trails; even slowing down or walking some parts where I felt were more risky to run on (rocky areas). At around 16 weeks I could ‘feel’ my tummy while running and purchased a support belt– problem solved. Around 20 weeks my pace dropped. I assume extra blood volume was making my body work a bit harder during this time. I am just so enthused that I can run and still feel so great doing it! 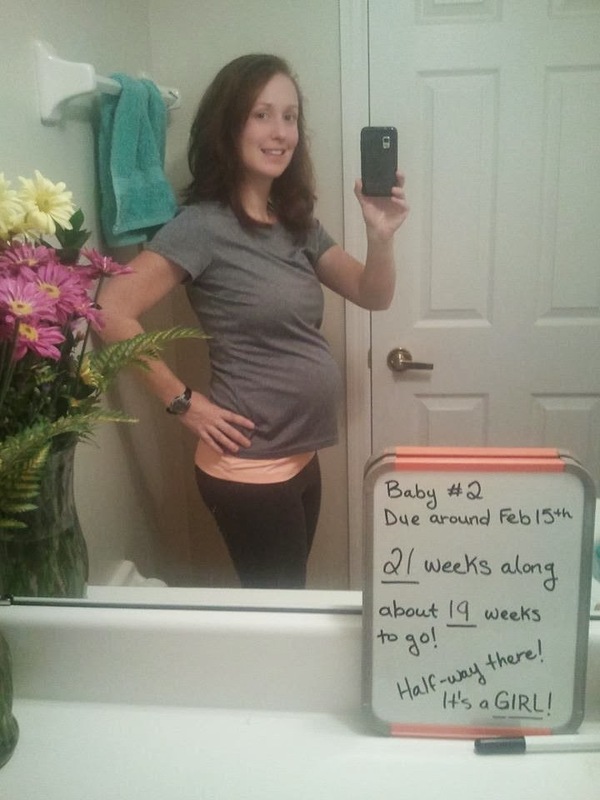 Cant wait to meet my little running buddy!